Modest Mouse kept fans dancing to stay warm at the Bluestem Amphitheater in Moorhead. A band that started up in 1992 is still drawing sizeable crowds today. 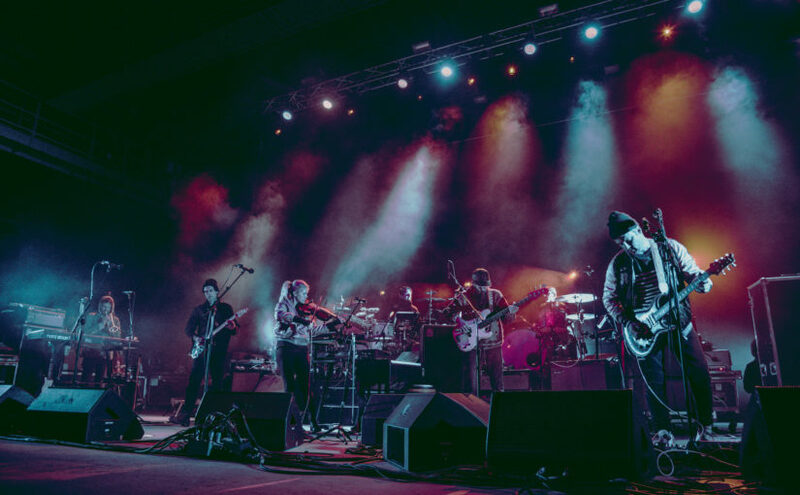 Modest Mouse has made the Fargo-Moorhead area a stop on their tour list several times, the last time being September 2015. Even though dreary weather was in the forecast for this past Tuesday, the concert would still go on rain or shine. Nothing, not even the weather, would stop me from seeing Modest Mouse live after hearing their hit, “Float On” when it was released in 2004. My eight-year-old self would have been cursing me today if I had missed the opportunity after all these years. Being an avid concertgoer, experience led me to show up early to the venue to secure my spot in familiar territory near the front of the stage. Patiently, I waited at the stage for the concert to begin. Mass Gothic, the opening band from New York, was set to appear on stage at 6:30 p.m. Almost as soon as they walked on, I knew that they were going to be like any other quirky, garage-band opener. Much to my surprise, they drew similarities to Tame Impala with their modern psychedelia. When they howled their songs, I was reminded of Grouplove. They ended the set with their hit from their self-titled (eponymous) album, “Every Night You’ve Got to Save Me.” After a handful of mellow songs, the crowd showed signs of life as they began tapping their toes and bobbing their heads along to the much-needed change of rhythm. Just when I thought that the chill in the air was getting to me, the buzzing of bees and the stage being bathed in blue light was the cue Modest Mouse was about to hit the stage. 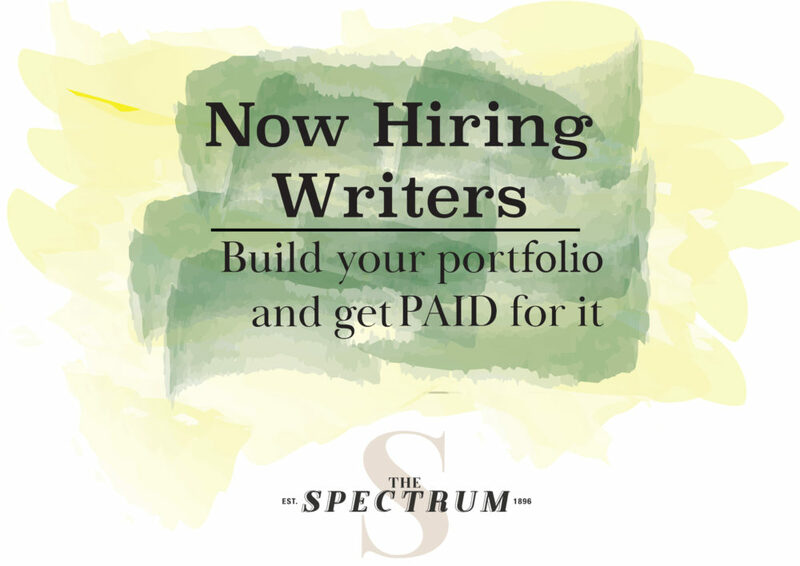 The air was flooded with the sounds of the eager crowd cheering. The long wait was finally over. Bundled in layers and with a cigarette in hand, frontman Isaac Brock kicked off the show with their iconic song, “The World At Large” from their 2004 album, “Good News for People Who Love Bad News.” Somehow, I managed to sing along through chattering teeth. 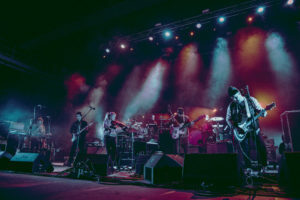 Known for having a full stage, Modest Mouse is unique with their wide array of instruments including two sets of drums, a variety of horns, the banjo, violin and cello, to name a few. Along with their variety of instruments, their set list would have pleased both their old and new fans. After their opening song, they moved on to “Dramamine” from their 1996 album, “This Is a Long Drive for Someone with Nothing to Think About.” The band moved seamlessly through the set list with effortless transitions between songs. With their raw angst, Brock belted out “Be Brave” from their most recent album release “Strangers to Ourselves.” They picked up the pace with “Lampshades on Fire” which easily warmed up the crowd with their high energy. Adding yet another instrument to their list, Brock showed the crowd during “Sugar Boats” that his mouth can do more than sing, it can also play the guitar. As my heart fluttered, I was reminded of why I love concerts so much. There is nothing better than hearing the entire crowd sing along to an oldie but a goodie. My childhood dreams had come true.